Season cod fillets with salt and pepper and set aside. Pour Classico® Riserva Triple Olive Puttanesca Sauce into large skillet and bring to a light simmer. 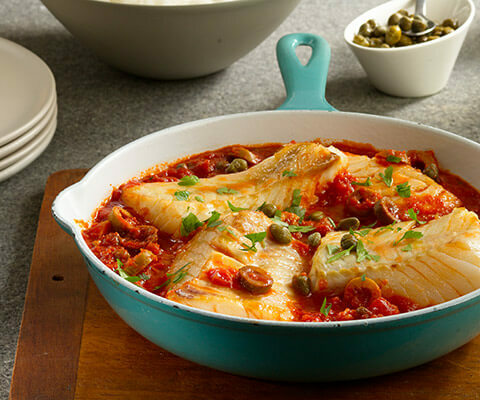 Add cod fillets, and capers (optional) and cover skillet with a lid. Over medium heat, cook for about 8-10 minutes or until fish easily flakes. Garnish with fresh parsley and serve with rice or pasta.